3 Simple Ways to Tackle Client Education on Social Media - LifeLearn Inc. : LifeLearn Inc.
There’s nothing quite as cute as a sleepy pet—whether it’s a dozing kitten sprawled out in some precarious location, or a drowsy pup falling asleep mid-play. But when it comes to client education, sleepiness is the last response you want to evoke from pet owners. Engaging pet owners for long enough to explain the essentials of pet care can be a challenge, especially with competing distractions like Dr. Google. That’s what makes social media such an excellent tool for education—it’s convenient for your team and your clients! Awesome graphics aren’t just an easy way to boost engagement—they’re also proven to help adults retain information more effectively. After all, images break down blocks of text to make the information more digestible. With so many veterinary practices already infusing their content with images and videos, how can you stand out? Use GIFS like this one to liven up your client education for sleepy pet owners! Sharing animated GIFs on Facebook and Twitter is a great way to complement your educational content in a unique, memorable way. Plus, these nifty animations will also add some character to your client education efforts. How do you add GIFs to a Facebook post? Start by searching for the right GIF on a website like Giphy, and either download the file or copy the link. Create a new page post and input the status update text you’d like to share. Next, either paste the GIF link into the message box OR select the camera icon from beneath the message box. In the same way that you’d add an image, select your downloaded GIF and add it to the post. Hit Publish and you’re set! How do you add GIFs to a Tweet? All you have to do is input the text you’d like to tweet and then select a relevant GIF from the clickable GIF option underneath the “Compose new Tweet” box. Then just hit Tweet—easy peasy! To animate the GIF within the newsfeed, simply click the play button directly on the paused image. Once you realize how simple your social media strategy can be, you’ll notice plenty of opportunities to save time on client education. Consider your veterinary blog—you’ve already invested the time producing high-quality content, so why do the work twice by constantly creating separate material for social? Instead, maximize your time by sharing your informative blog posts on social media. 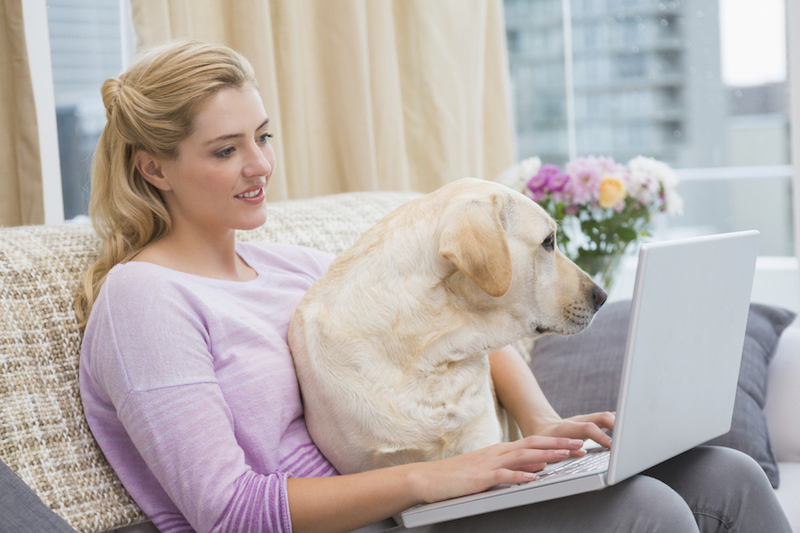 Don’t be afraid to be a little informal when posting blog content here—you want to get pet owners excited about pet care and keeping it casual can make clients feel more comfortable joining the conversation. Another effective way to drive pet owner engagement—with an educational twist—is to host monthly features of lesser-known pet species. Far too often, well-intentioned clients adopt pets without a full understanding of the care required. To curb impulse adoptions, encourage pet owners to stay informed by sharing fun, “Did You Know?” facts about each pet of the month. So rest assured, improving pet owner education doesn’t have to mean a massive social media overhaul. Even the smallest improvements can have a significant, positive impact on compliance and patient outcomes. Eager to tackle client education on your veterinary practice’s social media? Check out how the LifeLearn ECOsystem—with WebDVM Social—can help simplify the process!